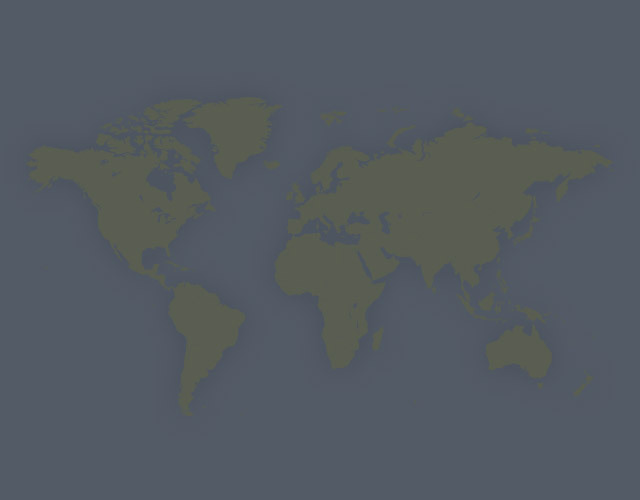 Need more information about booking Property 3949974 ? 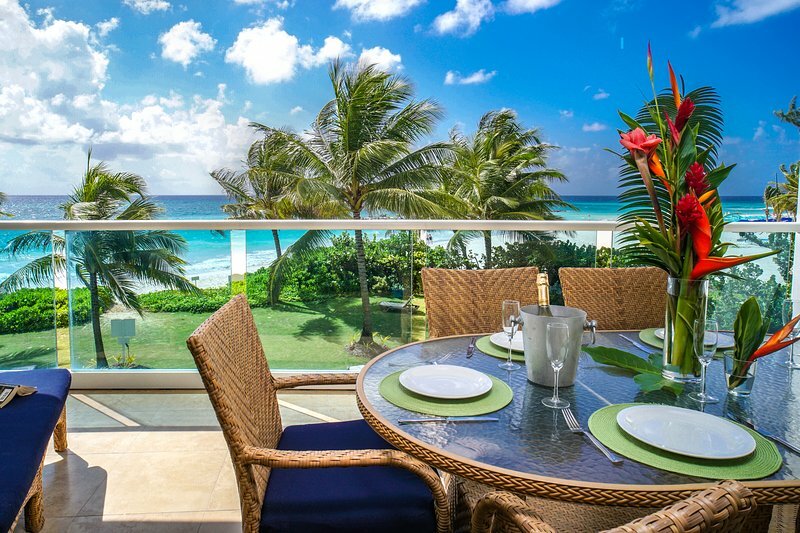 Ocean One on Maxwell Beach in Barbados is an exclusive boutique style beachfront condominium complex. This beautiful beach front property consist of two and three bedroom apartments which are fully equipped and self catering including telephone, wireless internet, flat screen cable TV's, washer/dryer, dishwasher etc. The location is away from the main road (no traffic sounds) and conveniently close to shopping, nightlife, dining and entertainment in St. Lawrence Gap and Oistins Fish Fry. The property features a gated driveway and private parking, property manager, 24hr security, elevator access, two fully equipped gyms, BBQ entertainment deck, beachfront pools and gardens. We stayed 50 days in this wonderful apartment and will take with us warm memories. The Team at ask starting with Bonita made the entire process smooth and provided a mixture of professionalism and friendliness. Would also like to thank Brian, Barbara, Andrilla and the entire Ocean One Staff for contributing making our Holiday One to remember and hopefully a Repeat Stop in the future. This property is Highly Recommended for its facilities and location. The apartment has everything you need to make your short term or long stay comfortable. Response from the owner Dear Dansant23, Thank you very much for your delightful review of Ocean One the property, Unit 202 and the teams at ASK and Ocean One. It was a pleasure to have you stay with us and we look forward to welcoming you back on your return trip! Our stay at Ocean One was incredible. The interior decor of Unit 402 exceeded our expectations. Upon our arrival, a few starter provisions were set aside to get us started for the next day. (cereal, milk, beer, eggs). There are a handful of bars and eateries directly adjacent to the condo. Our family of 6 had plenty of space and privacy. The condo is directly on the beach and walking distance to Oistins and 5 minute drive to the Gap. There is a super-market and gas station in the vicinity as well. We were able to rent the gas grill on the property for $10 BDS ($5 us). Bonnie and her team were very accommodating and professional, they took the headache out of finding and booking area attractions for us, they even arranged a taxi to arrive at 5:15 a.m to take my mother to the airport! Response from the owner Mrs. Ramos and family...thank you!!! You were such a fun, patient and adventurous group....talk about taking in all there was to offer! The entire team is delighted that Ocean One and the ASK service met your expectations for a great family holiday! First, Bonnie is marvelous. Personable, helpful, accessible--can't say enough good things about her. And any staff person we interacted with--Michael, the housekeeper, the two gentlemen providing security at night, Benji, the cab driver--all were just great. One individual actually drove us to the grocery store the first day we arrived. Secondly, this was the cleanest rental unit we have ever had the pleasure of leasing--and believe me, we have leased many condos. Thirdly, the internet worked very well, which was vital to me as I was conducting a conference while there and needed high speed internet access in the early mornings and evenings. Lastly, the spectacular view of the ocean and grounds and the condo furnishings were all exquisite. I'll never forget the moon over the water at night. We would stay there again in a minute if given the opportunity. Response from the owner Jay..you are testimony to the stories about our famous bajan hospitality! The ASK and Ocean One teams work in tandem to provide a seamless service and are happy that you enjoyed your short stay with us. Our doors are always open...thank you and come back soon! We enjoyed every moment of our stay in unit 304 at Ocean One. From the moment we arrived until the day we left, we were comfortable, happy and cared for. The rooms were beautifully clean, the kitchen completely kitted out, and there were thoughtful touches everywhere (tons of beach towels, dvds for the little ones, washer and dryer etc etc). Our only issue was the roughness of the waves, which was simply our timing - on the last day they calmed down, and we were able to swim to our heart's content. And it was amazing. Also highly recommend taking an afternoon Catamaran cruise up the west coast with the Calypso Cruises - it made for an unforgettable day. Response from the owner Hello Raindogboo, It was our pleasure to welcome you both to Ocean One....thank you for choosing ASK and trusting our Concierge with your holiday entertainment plans. There is so much to enjoy here that a longer trip is a must on your next visit!! We stayed there on the main floor appt with our infant and her grandfather. This was my 3rd trip to Barbados and this location was superb on all accounts and best place I have stayed. Everyone onsite was friendly and coordinating our stay was easy, including arranging a crib for our infant. We had issues with the wireless internet however, the owner of the condo took time and pride to come directly to the unit to resolve the issue. We would definitely recommend Ocean One to anyone! Thanks for the great accomodations! Response from the owner Hello Barrie..thank you very much for taking the time to tell others about your holiday at Ocean One! We are pleased you found the ASK range of services useful....your car rental via Top Class Car rentals, crib rental via our Concierge service and as you noted even the owner chips in as the Property Manager to ensure seamless service! We loved being your hosts and look forward to seeing you all at Ocean One for trip number 4! We rented condo 204 on the second floor of Ocean's One which has a spectacular view of the ocean and the beach. Bonnie made the entire rental process simple and easy. She even booked our dinner reservation for the night that we arrived. After picking up our rental car at the airport, we arrived at Ocean's One early evening and were greeted by Rebecca, at the front gates. Rebecca showed us the ins and outs of the complex and was very helpful in answering all of our questions. We were very grateful to discover the refrigerator was stocked with all the necessities for breakfast for the following morning so that we didn't immediately need to go shopping. The unit was well-appointed and comfortable, and the kitchen is well-equipped. The unit has 2 bedrooms, living area, large TV, wireless internet, full kitchen (including dishwasher and wine fridge), and balcony with table and lounge chairs. The balcony views are wonderful looking out at the pool and beach and provide a calm and relaxing environment. Throughout the week Bonnie called us to ask us if we needed anything and if there was anything we needed, to simply ask. The property is located on the south part of the island and is a very short drive to St Lawrence Gap where there are many restaurants. In addition, the grocery store, pharmacy and Ostins is less than a five minute drive. The location is an ideal starting point for driving to all areas on the island. The beach is not crowded and the ocean is great for swimming and is very clean. The beach out front of the condo has pink and white sand where you can walk a fair distance along the beach. The pool area is adjacent to the beach and offers lounge chairs, some shade and a relaxing area to drift away to the sound of the ocean waves. Overall we had a wonderful stay at Ocean's One and are returning to Barbados next March and are renting from Bonnie again. Response from the owner Hi Paul, Thank you so much for sharing your experience at Oceans One.. When you're happy, we're happy and we're counting down the days with you...see you soon! We had a wonderful stay at Ocean One. Booked a last minute short getaway. Everything you could ever want. Great accommodation, next to the Bouganvillea so you can walk to buy drinks and there is a restaurant where you can have lunch or dinner. Easy access to The Gap. Last time we stayed we stayed on the West Coast which was very high end and not as much fun! but The Gap has some of the best restaurants I have eaten at and all within a short Taxi Ride from the Condos. Never consider staying anywhere else... you will get everything you want... right on the beach. Cannot wait to return.. Response from the owner Hi Jules, We really appreciate your taking the time to share your experience with future guests of Ocean One! Thank you very much for choosing ASK to assist you with your holiday..can't wait to have you back! We stayed in apartment 204 at Ocean One in February 2012. It was a really fantastic, clean, well appointed and spacious apartment in a beachfront location that could not have been better. It is one of the best apartments we have stayed at in Barbados and we highly recommend it. Albert and his staff were knowledgeable and helpful and always on hand if we needed them. Everything was perfect, from arrival to departure. Very comfortable for 3 couples. The kitchen was equiped with everything you would ever need. The location is perfect close to The Gap. I will be going back enjoyed every minute.